An evocative visit to enchanting Sullivans Island with its unique pluff mud beaches, palmetto trees, and colorful local lore—a novel filled with unforgettable characters, and enlivened by tales of the notorious Blackbeard and his bloodthirsty pirate crew and eerie Edgar Allan Poe stories. This island is a very singular one. It consists of little else than the sea sand, and is about three miles long. Its breadth at no point exceeds a quarter of a mile. It is separated from the mainland . . .
Edgar Allan Poe, "The Gold-Bug"
I WILL TELL YOU THE one thing that I have learned about life in my thirty-something years that is an absolute truth: nothing and no one in this entire world matters more to a sane woman than her children. I have one child, my son, Charlie. Charlie is barely ten years old, and he is the reason I get up in the morning. I thank God for him every night before I go to sleep. When I was stationed in Afghanistan, I slept with a T-shirt of his wrapped around my arm. I did. Not my husband's. My son's. It was the lingering sweet smell of my little boy's skin that got me through the awful nights while rockets were exploding less than a mile away from my post. I would fall asleep praying for Charlie. And, if I had known what would happen, I would have petitioned harder for my husband, Jimmy's, safety in those same prayers. I should've prayed harder for Jimmy. Now I'm driving south on I-95 while Charlie sleeps, slumped in the seat next to me, and I wonder: what the hell was the matter with Jimmy and me? Why did we think we had the right to be so cavalier about what we did for a living, pretending to be bulletproof and fireproof and thinking nothing could happen to us? Sure. Mean army nurse doing three seven-month tours in a war zoneand Jimmy answering the firehouse alarms, rushing out to save what? The world? No, my Jimmy died trying to save a bunch of low-life crackheads in a filthy, rat-infested tenement on the Lower East Side of Manhattan. He fell to his death when the floor beneath him collapsed. How do I tell my Charlie to make any sense of that when I can't make sense of it myself? Ah, Jimmy McMullen, there will never be another man like you. Nope. Not on Earth and not in Heaven. You were one of a kind. Here's to ya, blue eyes, wherever you are. I took a swig from my water bottle. 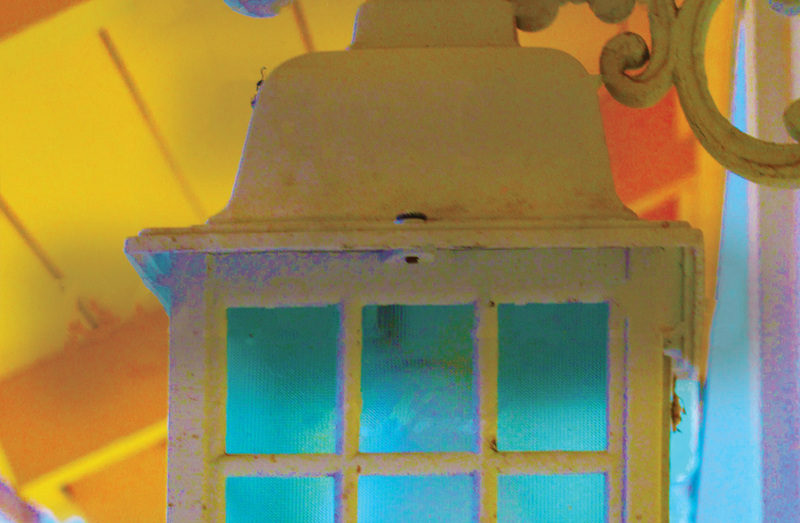 New York Times bestselling author Dorothea Benton Frank is back home in the Carolina lowcountry, spinning a tale that brims with the warmth, charm, heart, and humor that has become her trademark. 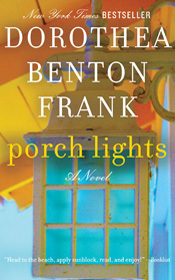 Porch Lights is a stirring, emotionally rich multigenerational storya poignant tale of life, love, and transformationas a nurse, returning to Sullivans Island from the Afghanistan War, finds her life has been irrevocably altered by tragedy... and now must rediscover love and purpose with the help of her son and aging mother. An evocative visit to enchanting Sullivans Island with its unique pluff mud beaches, palmetto trees, and colorful local lorea novel filled with unforgettable characters, and enlivened by tales of the notorious Blackbeard and his bloodthirsty pirate crew and eerie Edgar Allan Poe storiesPorch Lights stands tall among the very best works of not only Dottie Frank, but Anne Rivers Siddons, Rebecca Wells, Pat Conroy, and other masters of the modern Southern novel as well.